Hi and welcome back to Attention-0logy for K – 5 Teachers! Catching kids off guard in a carefully calculated, positive way is a tried and true attention-getter with students in upper elementary grades. Pop Questions – AGQs – do just that – catch kids off guard and force them to focus in educational settings. 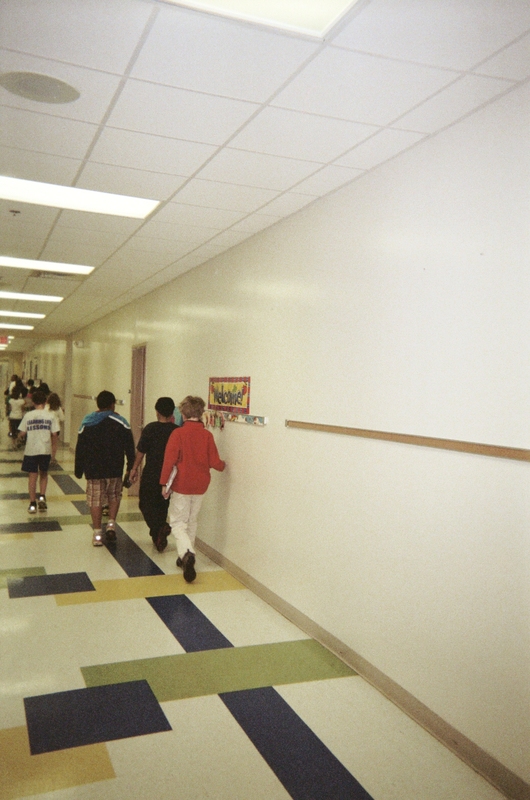 For example, as you’re about to lead the class down a hall on the way back to your own instructional space, try suddenly calling out an attention-getting question – an AGQ – like, “Who’s walking with you?” or “What do you see around you that you like?” or “What do you see along our way that you’d like to change? The first time you “shout out” an AGQ your class might look at you as if you’ve transformed into an alien. Smile back and ask if you need to repeat the AGQ because – NEWS FLASH – you’ll be asking the students to put their answers to work back in your classroom. When you decide to pose an AGQ as your class is walking the halls, remind students that the AGQ is a cue to silence themselves. Advise them that there is no talking – just looking and listening and thinking as they head back to class. ♣ pass out notebook paper and ask the class to write the answer or answers to your attention-getting question. You may preface the writing activity with a short discussion on the powers of observation or lack of when we complete daily routines. In other words, if some kids complain that they can’t think of anything to write down after walking the halls, start a discussion about why that’s the case. Do we become blind, in a way, to what is familiar? ♣ play Twenty Questions – an observation game – with the whole class sharing answers aloud rather than on paper. The twenty questions will be follow-ups to the AGQ you offered initially when your class was getting ready to walk together. The Qs might include, for example, “What color are the walls of our halls?” or “What student work is currently on display on the hall walls?” and “How many kids in our class were walking along?” – simple questions that demonstrate the importance of observation skills. See if you agree with me that in a world driven by distractions, we have to work harder than ever to teach children HOW to look closely at the world around them, how to focus. Teaching them to be more observant is one track in that direction. By the way, none of these attention-getting-question-based activities take very much time – an important consideration in planning a day, especially when teachers today are already challenged with fitting so much into limited hours. Another AGQ that will help your students develop focus skills is this…”Do you know who is sitting next to you?” Expect laughter; you’ll likely get some along with turning heads and questioning faces. This Q may sound funny, especially coming at the end of a traditional calendar school year, but seriously I’ve discovered, in classroom after classroom I’ve visited, that many students know little about their classmates. Proof positive…I ask students at the beginning of my week with them to complete a partly-written story or a poem simply titled, Favorite Things. You can format something similar that suits your grade level and needs. My version asks students to write in, among other favorites, something they play that puts them in a good mood, favorite animals and what about the animals that’s funny to them. I also ask students to pencil in something they’d like to see, a cool souvenir they’ve received, and a place they love to visit. When I invite volunteers to read their Favorite Things story or poem aloud, hands always fly when I ask after the reading if anyone in class has learned something new about the classmate they’ve just listened to; let’s say it was a fourth grader named Maria. “Who remembers the place Maria loves to visit?” I ask the class. Attentive listeners quickly and correctly reply. Then I help students develop their ability to stay focused by asking for more details that Maria could write about her favorite place. Elaboration, well done, is another trick that catches and keeps attention. What other AGQs do you think might work well for you? I’d love to hear your ideas. Just scroll down my blog and leave a comment. 1 Pings/Trackbacks for "Attention-Getting Questions – AGQs – to Help Kids Focus"